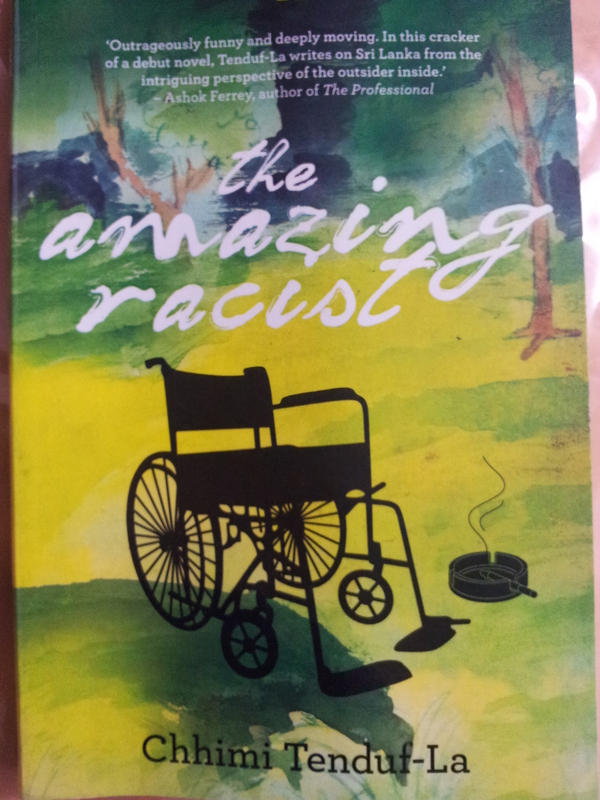 ’Its opening lines set the tone of the book, the witty narration led me to believe that The Amazing Racist would be a hilarious story. But the blurb drew my attention to the multiple layers to this tale; Thilak Rupasinghe’s rigid stance on the marriage of his daughter with the white man he considers unworthy of her, the relationship between the reluctant father-in-law and his eager to please son-in-law, somewhere inside is the indifferent daughter and daughter-in-law. The one tiny person binding them together is the little Kiki. It is love at first sight for English schoolteacher, Eddie Trusted, who lands in Colombo to teach at an international school. He meets the beautiful Menaka Rupasinghe and falls in love with her on the day he arrives in Sri Lanka. But Eddie has to prove himself to Menaka’s conservative father, who has more suitable local prospects lined up for his only daughter. Thilak Rupasinghe is in no hurry to give his blessings to his beloved daughter and this unsuitable outsider. On the contrary, he has lots up his sleeve where Eddie is concerned, hell hath no fury like the disgruntled father of the girl who thinks no one is good enough for his daughter, let alone a foreigner from a distant land. Menaka comes across as bossy and detached while Eddie’s character is more sensitive and emotional but weak. The part where Eddie mentally compares Menaka to his earlier insecure girlfriends is interesting. Being an only child and used to being the center of attention, Eddie had always preferred the company of girls who were a bit insecure. But that was in the past and now he was face to face with a super confident and almost aggressive Menaka, could a person fall for someone who was the exact opposite of all the girlfriends of his past? 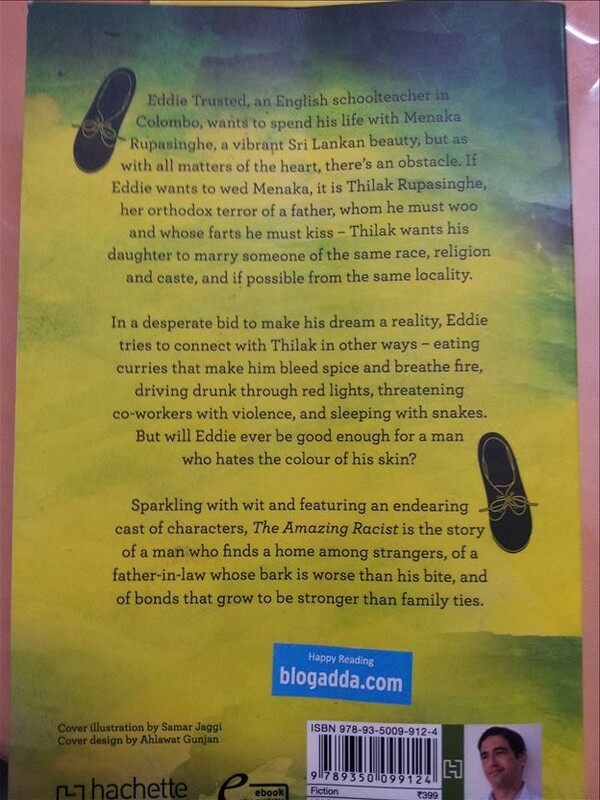 The nagging problem Eddie initially faced in the story was the rigid, unbending mindset of Thilak and his clear dislike for him and his quest to get Eddie out of Menaka’s life at any cost and by any means. What happens later on? Does Thilak Rupasinghe succeed in his sinister plans? Do Eddie and Menaka make a go of their union and live happily ever after? What secret does Thilak hide in his heart? Eddie’s thoughts about the fair skin toned gem merchants’ wives and their reasons for marrying their husbands, didn’t go down well with me. I didn’t like Eddie’s way of thinking; maybe the writer intended it this way, added flaws to his character to make him more real and believable. Eddie also thinks that a woman cannot have the best of both worlds; she has to sacrifice her family life to succeed in her profession and vice versa. It seems like Eddie blames Menaka for abandoning her family to fulfill her dreams of making a difference in society. The characters were credible, the humorous dialogues made me smile at times. I liked Thilak’s character the most. He stays true to his beliefs and is unafraid to show his emotions, goes to any lengths to protect his daughter, though he is misguided but he perseveres till the end. I found the part about the Urine samples in dettol bottles interesting and felt the relationship between Thilak and Eddie undergo a change here. In my opinion, this book is a funny and interesting read but with a lot more depth.The Amazing Racist is also about the complexities of relationship and how different people handle them. Thanks Swati, you will love it. The story sounds very inefresting. Usha, it is a lovely story told beautifully and humorously. Such an honest book review, Sulekha. And so interesting too. You’ve shared enough to tempt us to read the book, without giving too much away. This looks like a reverse case of racism, this time targeted by a brown person towards a white person. The book plot interesting and the fact that you have not given away the story has left me intrigued, especially what is the father hiding in his heart. Adding it to my TBR.